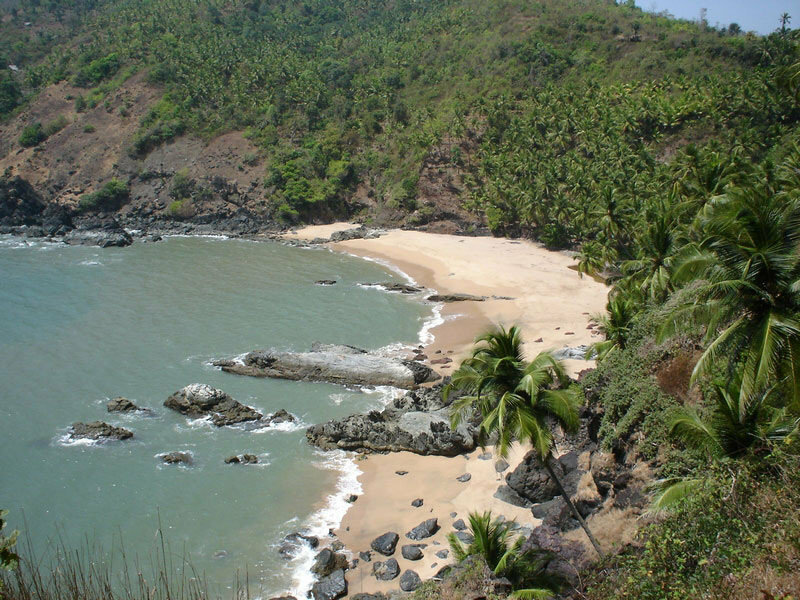 Kakolem beach is a tiny beach cove situated to the south of Cabo de rama. It is one of the most secludedbeaches in Goa. By far Kakolem is one of the most beautiful beaches in Goa. There is no proper road and only a small path off the main road leads to the beach. The best way to visit by private yacht. To get to the beach one needs to climb down a series of steps which takes a considerable amount of time. The view of the beach from the cliffs above is breathtaking. The beach has a small spring that splashes down the hillside to the beach, ultimately flowing to the sea. The beach is deserted save for a house close by. The climb back when leaving the beach is long and hectic. One can reach this beach by private yacht or speed boat.